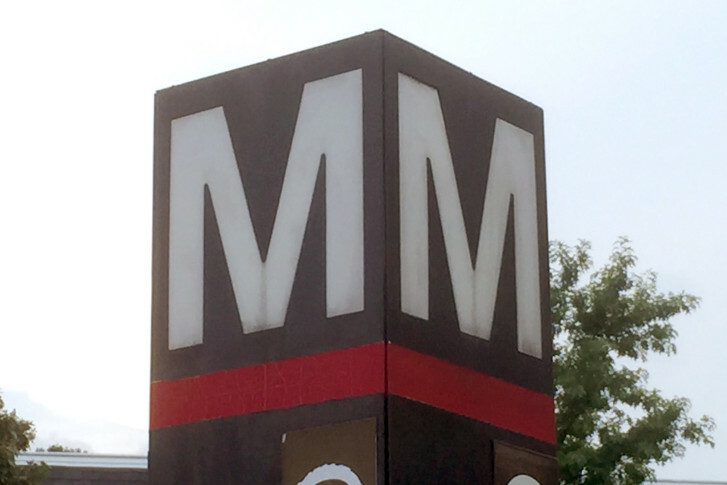 “Flagrant, numerous violations” led to two Metro trains ending up head-on earlier this month, according to Metro Chief Safety Officer Pat Lavin. Another safety lapse included passengers walking along the track even though the third rail was still electrified. WASHINGTON — “Flagrant, numerous violations” led to two Metro trains ending up head-on earlier this month, and the train operator who ran a red signal that led to the situation only realized there was an issue after two track workers he almost hit started screaming at him. Metro Chief Safety Officer Pat Lavin provided new details Thursday on the July 5 incident just south of the Glenmont Station, including that the train operator had his radios turned down or off. “It was the two track workers on the track yelling at the train operator that finally captured his attention to stop the train, and even with that he stopped 300 feet past them,” Lavin said. The train ended up stopping about 2,000 feet from another train that had been moving northbound. The northbound train automatically stopped because its speed triggered Metro’s automatic train-protection system after the southbound train entered the wrong area of track. However, the train operator who ran the red signal could have continued at up to 12 mph without any electronic backup systems kicking in. Metro is examining the use of automatic systems to stop trains after red signal violations under a pilot program. Officials aim to eventually return to automatic train operation, which was suspended after the 2009 Fort Totten crash. An additional serious safety issue in this incident came after the trains stopped for the investigation. Two passengers and a Metro train operator on the train that ran the red signal walked back along the tracks to the station but crews had not cut power to the electrified third rail. Lavin said Metro workers may have assumed the third rail power was cut when the train was shut down, and so did not pay close attention to a backup test of the electricity. In total, five employees were disciplined and the train operator was fired. He does have the right to appeal. The train operator apparently had a “childish” dispute about where and when he could take his break just before getting on the train, and pulled out of the station, despite a red signal, about 30 seconds after a northbound train pulled in. The switch had not changed directions, so the train went down the wrong track — the track typically used for northbound service. Lavin also said the train operator had a history of conduct issues when he worked for two years as a bus driver, including two red-light camera tickets and a right turn on red violation. In less than a year as a train operator, he had two operational infractions before this incident. Lavin told the Metro Board’s Safety Committee he would like to set stricter rules governing transfers from the bus system to the rail system that would limit employees’ moves until any issues are properly addressed. This incident is one of ten red signal violations this year, including several just this month. On Wednesday, a train passed a red signal at Reagan National Airport. The incident was caught immediately. Thursday morning, Lavin revealed there had been another red signal violation this week in a rail yard. The Federal Transit Administration is investigating Metro’s overall issues with red signal violations, and is due to release a report soon.